After all the talk and all the training. After all the waiting and expectations. 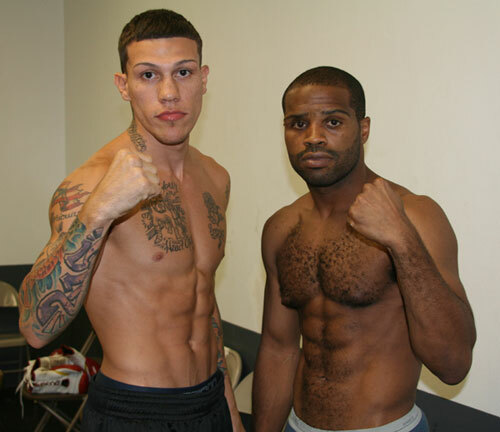 After everything that has happened in the past two to three months, the big fight between Derek Ennis and Gabriel Rosado goes down tonight in South Philly. Both fighters weighed in last night at 153 pounds. This morning they hit the scales again to ensure they hadn't rehydrated more than 10 pounds over the junior middleweight limit of 154. Once again, both fighters made weight. Ennis scaled 160 pounds a little after 9:00 AM this morning. Rosado weighed 159. No problems. The fight is on. It's the best all-Philadelphia match up in years. And it's a fight that could go either way. If Ennis is able to retain his USBA belt tonight it will be no doubt thanks to his superior hand speed, accuracy and defense. It's not hard to imagine Ennis boxing smoothly, snapping his shots through holes in Rosado's defense, and coming away with a 12-round decision. 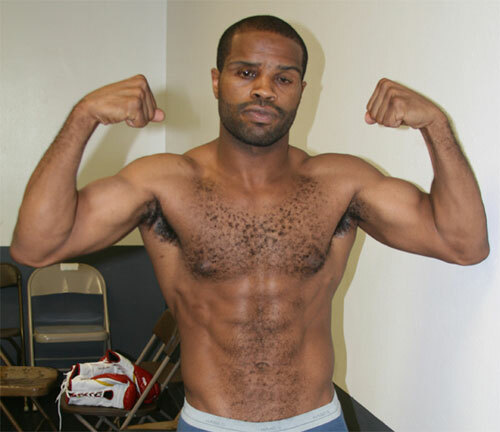 However, in his recent bouts against Ermosele Albert and Jose Gonzalez, Ennis showed a willingness to brawl his way to victory. They were the most entertaining Ennis fight in memory, but such tactics against Rosado wouldn't be the smartest plan. Although Ennis displayed his grit, determination and body punching acumen in those fights, Rosado brings better power and battle-tested toughness than either of those opponents. And these are the challenger's keys to victory. If Rosado can take the title from Ennis tonight, he'll probably have to respond to Derek's well-placed jabs and combinations, and come from behind on the scorecards to wear Ennis down with his superior size, strength and punching power. 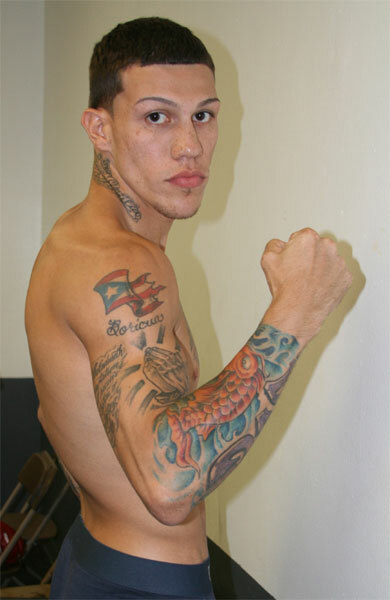 Both fighters will work the body, but an inside trench war would have to favor Rosado. It seems the closer he can keep Ennis the better his chances will be to land enough hard shots to slow down and then hurt the champion. In addition to the things the fighters have to do to win, there are also a couple of things they have to be sure NOT to do. Ennis has to keep boxing and moving. He should NOT give in to the urge to fight it out, as he did with Albert and Gonzalez. Even if he finds great success and begins building a lead, he has to avoid letting Rosado into the fight. Rosado has two nagging flaws. First he tends to get hit a bit too much. Second, he has a tendency to wait when things aren't going his way. Rosado needs to keep his hands moving and must apply pressure all night long. If he let's up, Ennis can outbox him. So it's the classic boxer vs. puncher match up tonight. Ennis will be boxing and carefully trying to control the fight, while Rosado will be pressuring and trying to administer a beating. That sounds like an excellent fight. With just a few hours until fight time, it's now up to the two fighters and the Gods of Philly boxing to make this fight one for the history books. Let's hope that all the intangibles align and the fighters are prepared and ready to pull out all the stops. 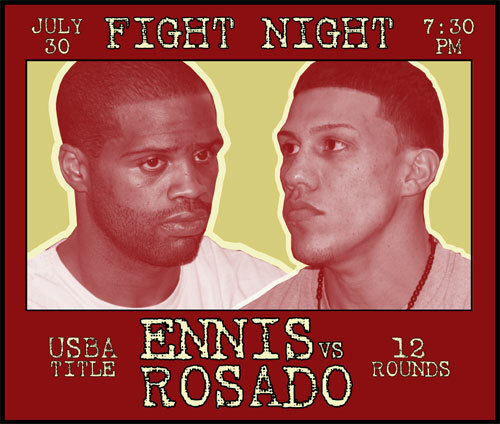 If this happens, Ennis-Rosado will be a great one. If you're crazy enough NOT to come out for this one (there are still tickets available), then watch it on the web at gofightlive.tv for $10.